Mohr Partners, Inc., a global corporate real estate advisory firm, announces the promotion of Rob Pipkin to Managing Partner in Mohr’s Dallas corporate office. Mr. Pipkin began his commercial real estate career working on behalf of building owners, for firms such as Prudential Realty Group and Granite Properties. Upon joining Mohr Partners in 1998, Rob transitioned to the corporate services side of the commercial real estate business. 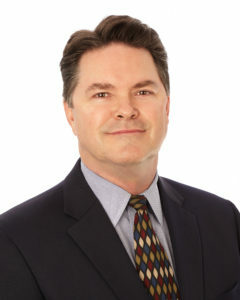 In Rob’s 17 years with Mohr Partners, he has represented numerous clients both nationally and internationally. He specializes in representing and consulting corporate, national, and local clients in all aspects of their real estate needs. With over 26 years of experience, Mr. Pipkin has received the Dallas Business Journal’s “Heavy Hitter” Award eight times, Dallas CEO Magazine’s “Power Broker” Award four times, and Mohr Partners’ “Broker of the Year” Award three times. “As a long-standing Principal of the firm, I could not be more pleased for Rob’s promotion from Managing Director to Managing Partner,” said Eric Beichler, Managing Principal and Head of the Dallas Brokerage Office. “Rob has exemplified all the attributes of an excellent partner and professional colleague since the day he joined our company. His promotion is well deserved and a testament to his consistent professionalism and high moral character over the years. I am also personally honored to call Rob a close friend as well as a colleague. Rob is “truly” one of the great men in the industry.